By properly maintaining your truck, you know that you can keep it on the road more and prevent costly breakdowns. However, if you have not taken the time to overhaul your preventative maintenance lately, you may not be saving quite as much time and money as you think that you are. Take a few minutes to go through these ideas to determine if your preventative maintenance needs to be overhauled or if you have things dialed in nicely and you are maintaining maximum efficiency with your rig. 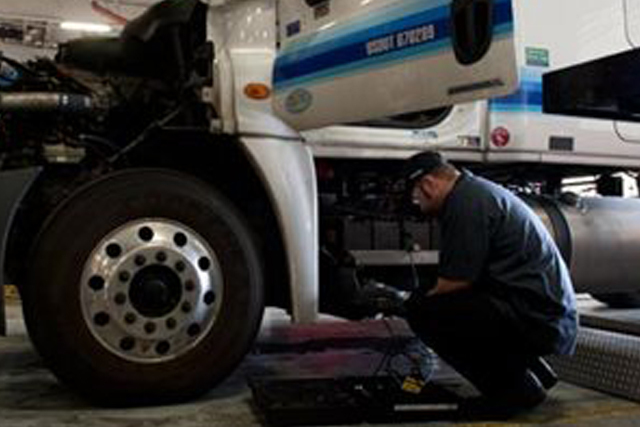 As your truck gets older, your maintenance schedule may not be syncing up with its needs. Think about that for a minute. A brand new truck that has just a few miles on it won’t need maintenance nearly as often as a truck that has a couple hundred thousand miles on it. So why do you send them through the preventative maintenance cycle at the same time as each other? Smaller checks more often can prevent costly repairs as your truck or trucks age. The Federal Motor Carrier Safety Administration (FMCSA) has requirements for Compliance, Safety, and Accountability (CSA). If your vehicle fails to meet those, then you end up with a fine. Those fines add up, and are a telltale sign that you need to revamp your maintenance schedule. Take a look at your records and see when those fines are being issued, and to which of your rigs (if you have multiple trucks on the road). A little bit of research to see where your trucks are missing the mark can prevent headaches, drain on your cash, and even legal nightmares down the road. Similar to tracking your CSA fines, you should be tracking the details of when your truck is breaking down. After enough breakdowns, you will begin to see a trend. Take the time to prevent your rig from breaking down while on the road by repairing them before they even occur. It may cost you a little extra now, but it will save you a lot later. There are a lot of ways to utilize technology to make your maintenance a lot more efficient. The first is to do away with those paper forms that get lost, waste time, and clutter things up. There are a number of electronic forms that can not only be easily amended, but also instantly sent anywhere in the country. So if you have a rig that travels hundreds of miles, and you have a shop in two cities, they can instantly know what has been done and what needs to be done to the truck. While you are changing from paper to electronic, make sure that you know the process of maintenance. By streamlining the process, and making sure that you (or your techs) aren’t constantly wasting time working on one side of the truck, then the other, and then back again, you can have the rigs back on the road quicker and have them make you money again. Your trucks need to be maintained; there is no way around that. But by streamlining the process, preparing ahead of time, and looking for patterns in breakdowns and fines, you can make sure that you are getting the most out of your maintenance program, wasting the least amount of time, and keeping your profits as high as possible.